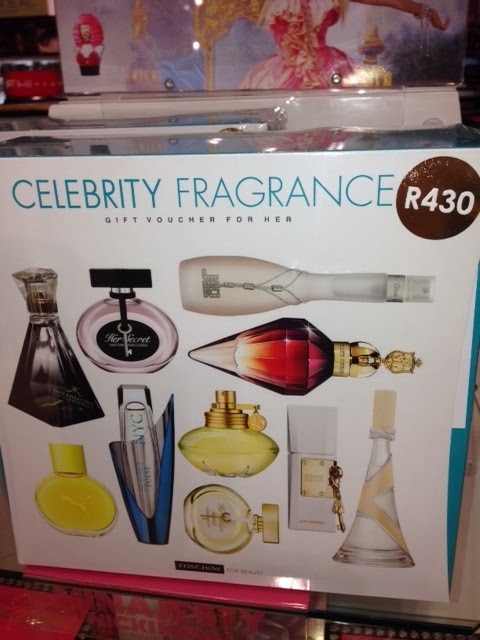 I'm not quite sure how I have missed this "Fragrance Gift Voucher Box" idea that is exclusive to Foschini, as apparently it has been around for a couple of years! 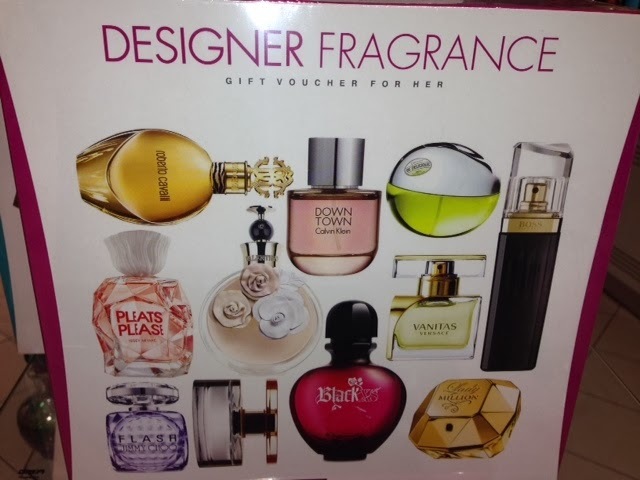 Bring the voucher into Foschini and redeem it for your full size fragrance specified on the voucher. This box contains samples of..you've guessed it, Designer fragrances like Calvin Klein, Roberto Cavalli, Donna Karan and Valentino to name a few. There is also a male box option. 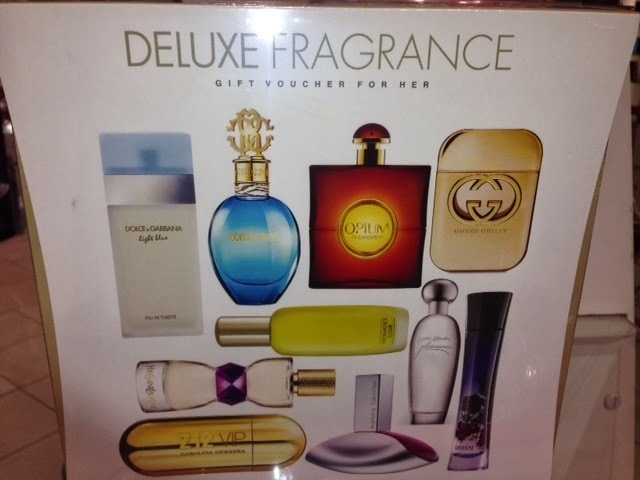 I really think that this Fragrance Gift Voucher Box is a great idea, especially for the male species that sometimes find it daunting to go into a cosmetic department and buy a fragrance, let only choose something new or different. It would be a case of quick into Foschini, decide on the box,pay and leave the store. I know that many men would find this idea very appealing. 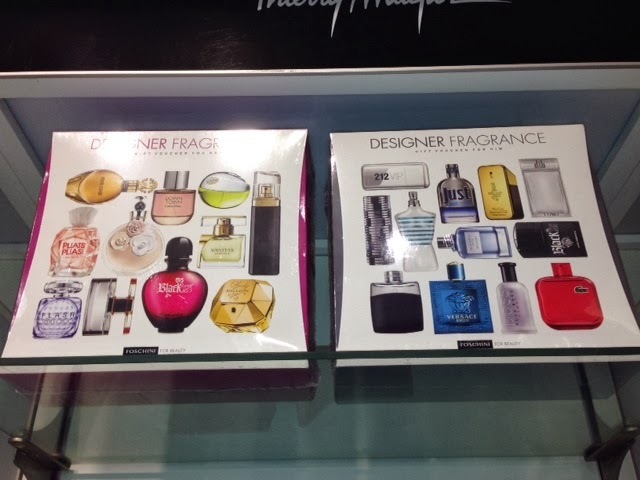 These boxes give the receiver the option to try 9 - 11 samples, of the top selling perfumes, away from the store environment. I am sure that they will fall in love with at least one of the samples and then they can redeem their voucher for a full sized bottle of their new favourite fragrance. The only drawback, would be the possible loss of the voucher and I know several of my friends that have either lost gift vouchers or let them expire. 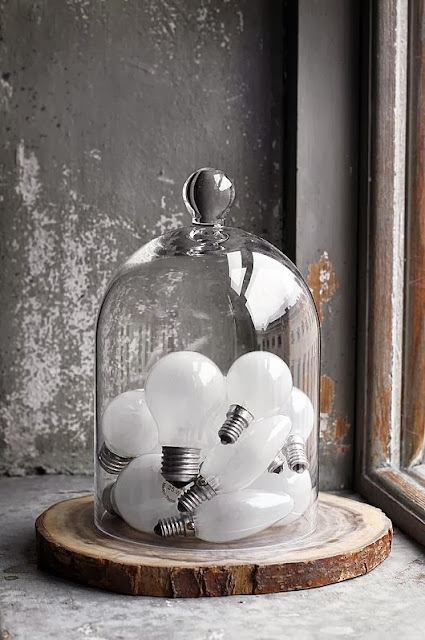 Well Done Foschini.....bring on some more good ideas! 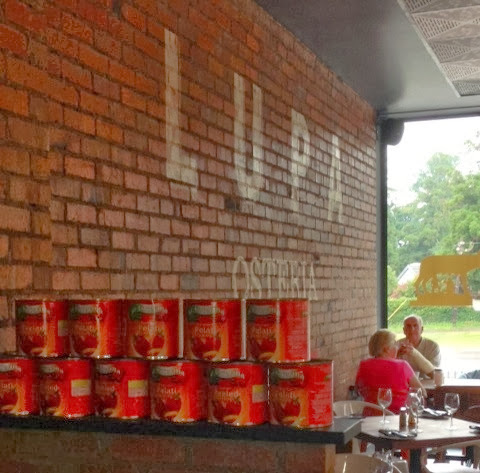 so this was the perfect time to try Lupa Osteria for lunch. 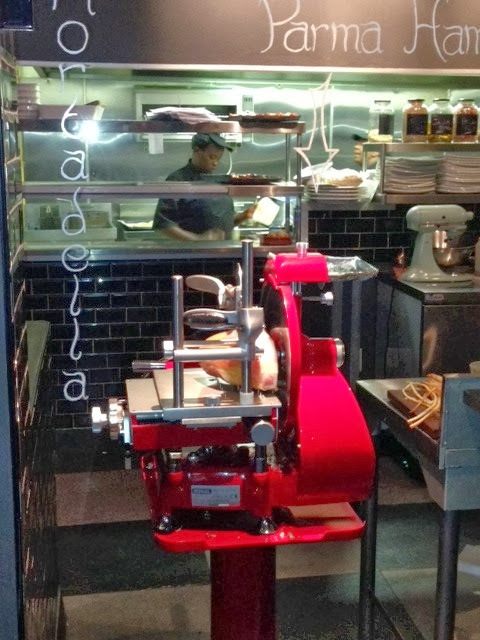 Having heard so much about this Italian eatery, I was expecting great things! 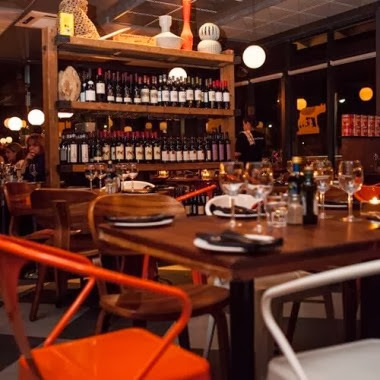 As you know I am somewhat of a harsh critic when it comes to food, as I want to come away from any eating place with that "I can't wait to go back again" feeling. Chris Black & Guy Cluver know their stuff. The restaurant was fairly busy, but there were plenty of tables and we were soon seated. non obtrusive way, whilst the other waitron had attitude. As you can imagine this didn't go down too well with me. I couldn't help but feel we were being rushed to order our drinks before we had even sat in our seats. To be honest he irritated me the whole time we were there. The menu is extensive and as always I found it difficult to make my choice, as there were several dishes that took my fancy. which by the way changes weekly. 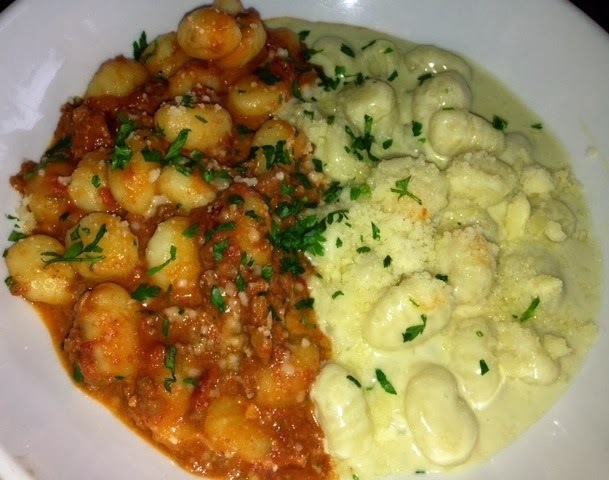 The Gnocchi Fantasia caught my eye, as it was a dish of 2 halves, spicy bolognaise sauce and creamy Gorgonzola and both halves were delicious, but very rich. sauce was spicy and extremely tasty. I am still undecided as to which half I preferred. 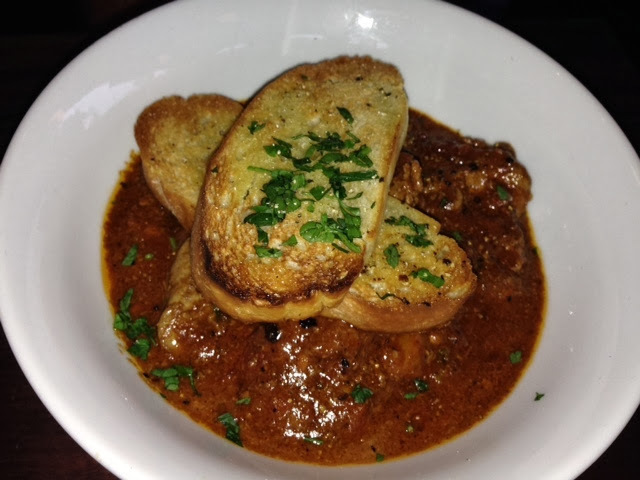 The food was served in a large bowl and the portion was huge, so much so that I really didn't make much of a dent, but my hubby came to the rescue after he had finished his spicy chicken livers, which he gave a big thumbs up to! He also gave a thumbs up to the wine menu and the good selection of Craft beers. 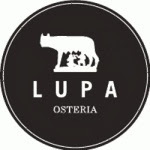 What was my verdict on Lupa Osteria? "Can't wait to go back" feeling...which I look forward to some time soon. Mmmm next week Saturday is looking good! I am looking forward to trying this sample and reporting back to you on this coming Sunday Sample post. p.s. I am not sure why this is in my vase and I cannot believe that I have overlooked this one! This is the first of my new series of reviews based on samples that I have thrown into my glass vase. 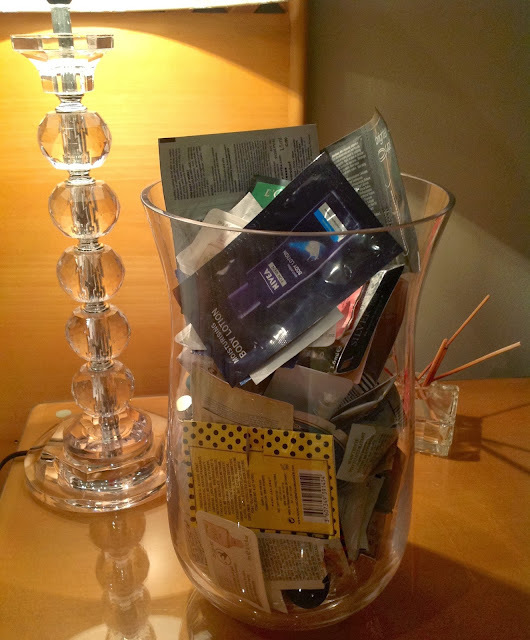 This vase contains a wide variety of sample products and to be honest many of them I really would never use. 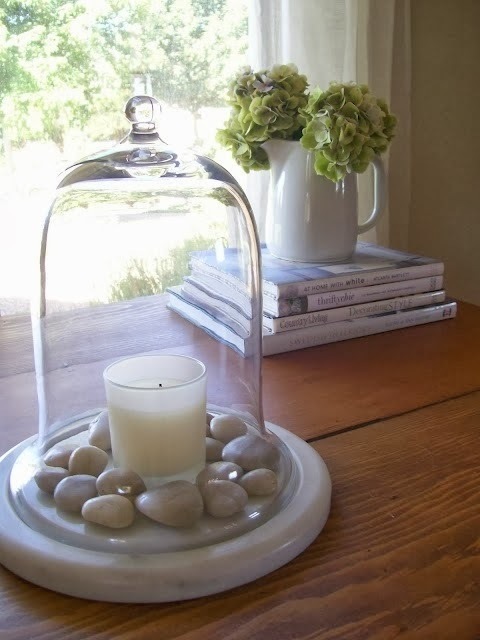 However my eyes closed "dip" into the vase means that I will try which ever sample I pull out regardless of what it is. 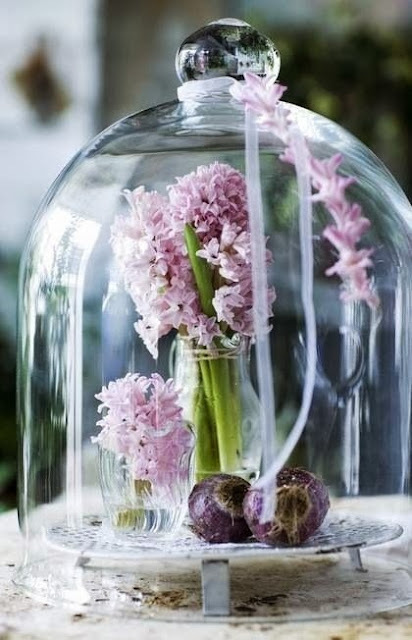 Now I am not saying that everything in the vase is not to my fancy, as there are lots that I know I would enjoy, but really never get round to trying, as I have other full size products on the go. 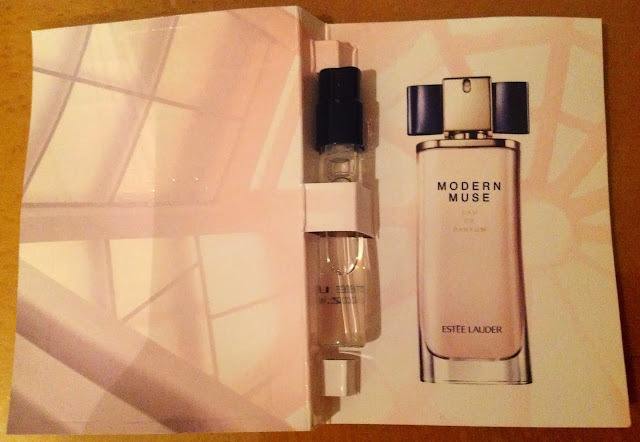 Luckily, the first sample I pulled out was a fragrance vial of Estée Lauder Muse Eau de Parfum. Even though it was launched in the latter half of 2013 in South Africa I haven't yet tried the fragrance, hence the sample in the vase. Estée Lauder have developed some of the worlds most well known fragrances and it all began with Youth Dew over 50 years ago. 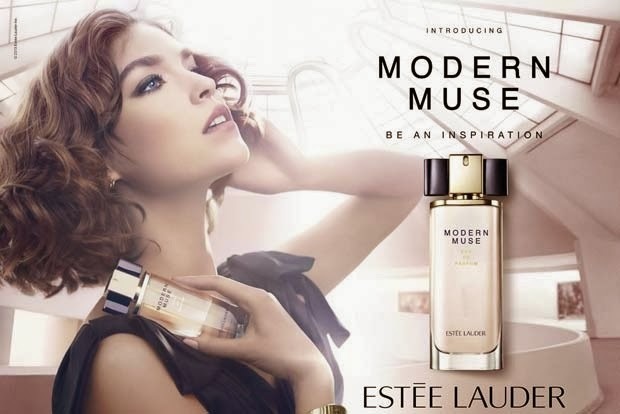 Initially my opinion of their latest addition Modern Muse was floral, very floral.....and after research I found that it contains a floral bouquet of Jasmine,Lily of the Valley,Honeysuckle,Tuberose and several different Patchoulis. 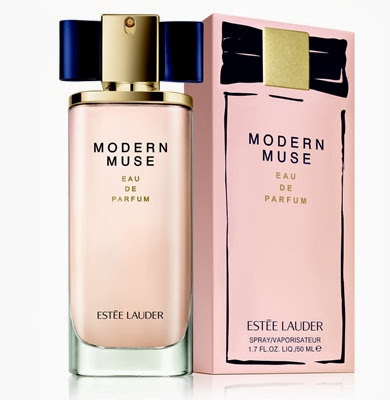 Estée Lauder classifies Muse as a "Lush Floral Woody" fragrance that is an alluring contrast of sparkling florals and sleek, sensual woods. Unfortunately I didn't feel there was any contrast, but rather a constant overpowering floral top note that just didn't work for me. With regard to the staying power of the Muse Eau de Parfum like most EL fragrances it certainly wasn't quick to fade away into insignificance. Available from all Estée Lauder outlets. 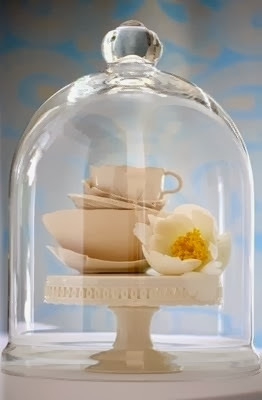 The word ‘cloche’ is French, meaning simply ‘bell’. Earlier origins are found in the Medieval Latin word ‘clocca’, or clock. 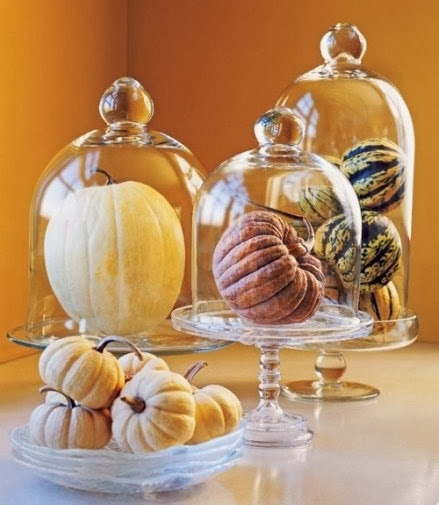 Today the word cloche is used in many ways, typically when something is bell-shaped such as a hat or a food covering. 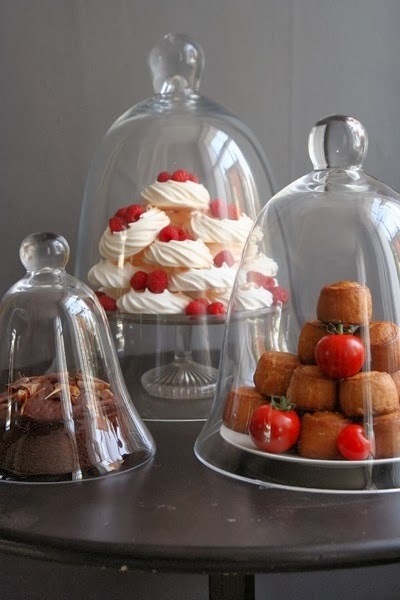 Now we have all seen these beautiful glass domes that often cover cakes and sweet goodies, but here are some other suggestions for the use of a cloche. 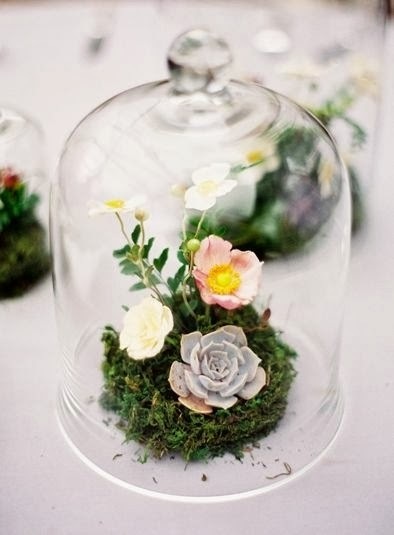 You can literally place anything under a glass bell and it will become a decor centerpiece or focal point. 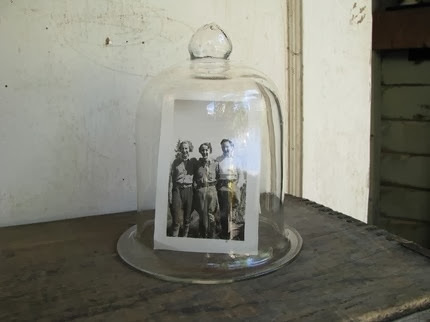 How wonderful does this old treasured photo look ? will be a new series of regular posts starting this week. Over the months I have accumulated many samples and they all get thrown into my glass vase along with good intentions of trying them out some time in the future. Well! 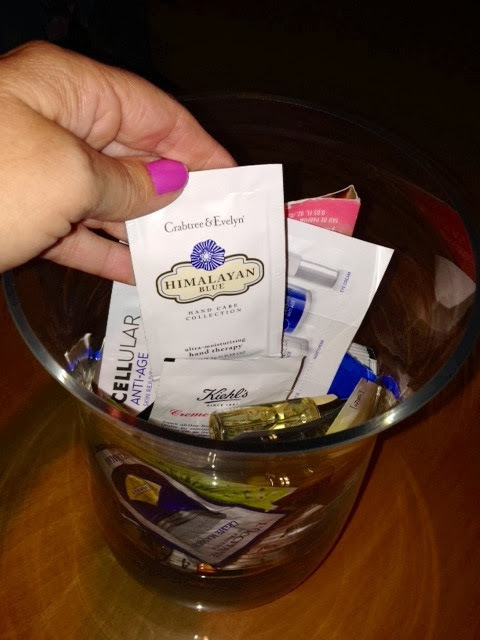 That time has arrived and each week I will dip into this "pot pourri" of sachets, vials, tubes and jars to pull out a sample that will be reviewed for my Sunday Sample post. As you can see my glass vase contains a mix of fragrance, skincare, hair, body and bath samples, which have been given to me in either goodie bags, by cosmetic consultants or they have been part of a magazine marketing campaign. I also have some other samples, which have been thrown into my kitchen drawer and these include food, drink and cleaning products,which I will also occasionally dip into and review. 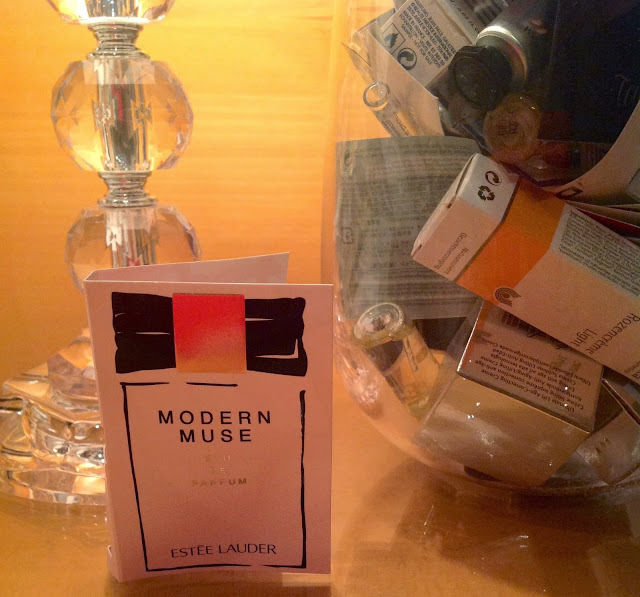 so check out what my thoughts were on this fragrance on Sunday Sample Review. Oops he is at it again..
Wayne Goss is having a little rant about Private labelling. In the video he explains his frustration at a beauty item selling for treble the price just because a brand or designer name has been stamped on the item. I understand completely what he is saying, but there are many people out there that are willing to pay the higher price all because of the branding and while there is a demand there will be a market. 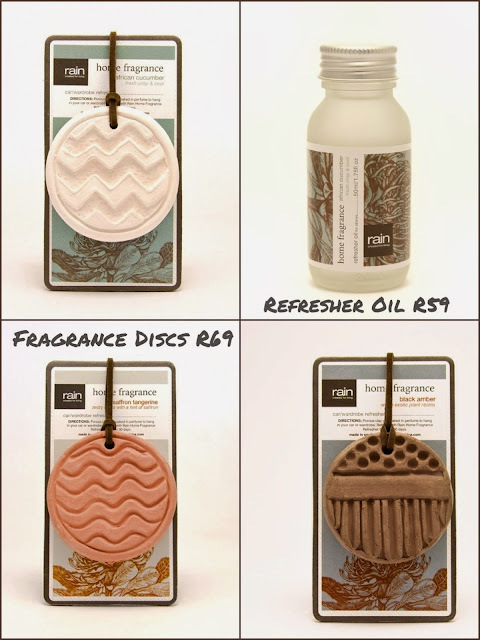 Having always been drawn to all things "Home Fragrance", whether it be a candle, diffuser, room spray or a simple bag of potpourri, you can imagine I couldn't resist buying a fragrance disc from rain recently. Fragrance discs are generally made of porous clay, which have been pre soaked in perfume and are ideal to hang in smaller more confined spaces. Wardrobes, closets and even the car are ideal homes for these subtle smelling discs. Over time, as the fragrance fades on the disc, you will need to refresh the disc (approx 30 days) by applying some drops of the refresher oil, which rain also sell. I chose the African Cucumber, but there are two other fragrances to choose from Saffron & Tangerine and Black Amber. With hindsight I should have chosen the Saffron & Tangerine as I love this fragrance in their bath salts. I found my particular African Cucumber fragrance disc to have virtually no smell at all once I removed the cellophane. After asking my "kiddiewinks" to tell me what did the disc smell of...their reply was clay, which actually made me have doubts as to whether the disc had been pre soaked in perfume. Maybe this one just slipped through the net at the factory. Hopefully that was the case, otherwise these fragrance discs don't impress Moi! I can honestly say that I am a true "Rain Ranger" and absolutely love all things rain. Living in Durban, South Africa as I do, it would be "skin suicide" to not use a sunscreen with a high SPF daily. Summer temperatures reach the high 20's to mid 30 degrees centigrade on a continual basis from Mid October through to the end of May, with the sun beating down for a good 8-10 hours a day, so what SPF (sun protection factor) should you opt for? During the summer I use and always have done, nothing on my face less than an SPF 30+ and in most cases an SPF 50+. I have to admit that I have always used on both myself and my family a specialized sun cream for the face and a different cream or lotion for the rest of the body. I am not one to advocate using one of the mass manufactured sun protection everywhere from top to toe but, after saying this, it is better to use the same product rather than go unprotected and suffer uncomfortable burning and damage to the skin. For many years I have used the RoC range of sun protection,but unfortunately it is no longer available in South Africa, so I was forced to find an alternative. 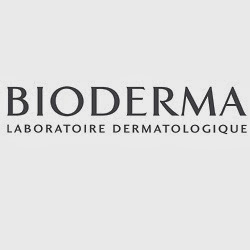 Bioderma is a pharmacy range and a product line that has always just sat on the peripheries of my skin and sun care radar. Well.. several weeks ago it made it onto my radar and I purchased my first ever Bioderma product..the Bioderma Photoderm MAX SPF 50+ Sun Fluide. 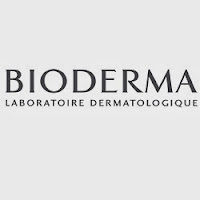 I opted to try the Boiderma Photoderm MAX Fluide, but there is a cream, milk and a tinted option available and even a powder. 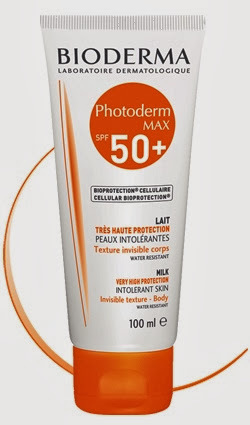 • The maximum anti-UVB efficacy and unmatched "extreme anti-UVA" performance ofPhotoderm MAX Fluid safely protect against sunburn, prevent sun intolerance reactions and combat premature cutaneous ageing. • A major advance against risks of cell damage, its exclusive patented Cellular BIOprotection® complex* provides optimum protection for the skin cells. 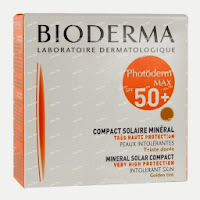 • The ultra-light texture of Photoderm MAX Fluid leaves the skin feeling extremely soft. Perfectly colourless when applied, Photoderm MAX Fluid spreads very easily, leaving no oily film or white marks. 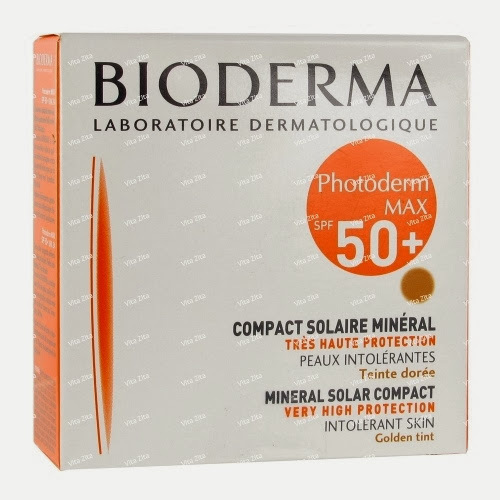 • Non-comedogenic, Photoderm MAX Fluid is water-resistant and photostable. 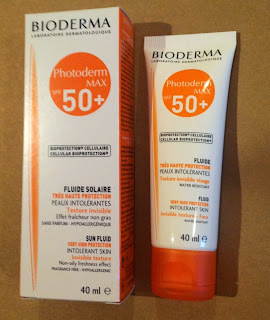 • Photoderm MAX Fluid is fragrance-free and ensures excellent tolerance. 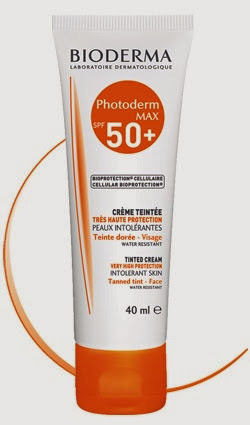 I found this product to be everything that the manufacturers claim especially regarding the easy spread ability and it definitely leaves no oily film, which is often the biggest complaint when it comes to using high SPF sun products.My hubby even enjoys using this product and as you know men hate to use products that leave any oily residue on the skin. 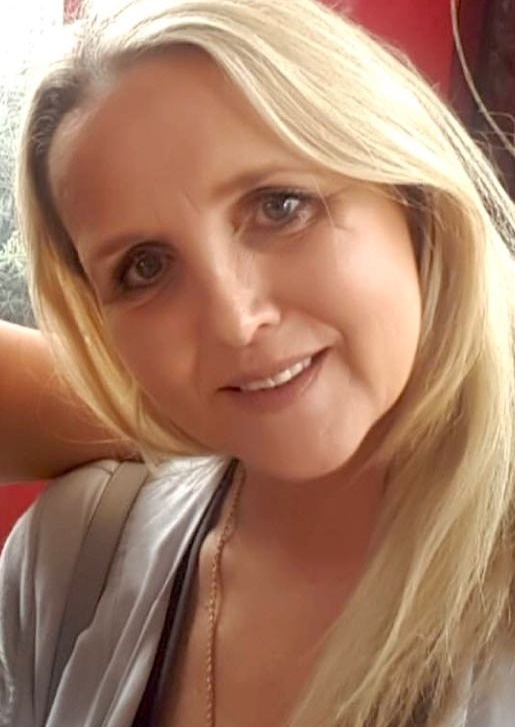 I opted for the Fluide, as we have high humidity in Durban and I felt it would be too much to use the cream in conjunction with my daily anti Ageing moisturizer. However the cream would be an excellent choice in the case of very dry skins or for use in those cold conditions for example snow skiing. The pricing for the mentioned products vary between R159 - R209 and my next acquisition may well be the tinted version. 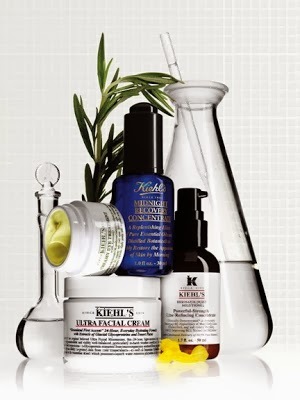 In fact I may just be tempted to investigate further into their skincare offerings also. This video was posted on You Tube by AllTime 10's a couple of days ago and already has had over 750,000 views. Love or hate that little grey patty, this is worth a view. This also just happens to be the most viewed post of the past year. 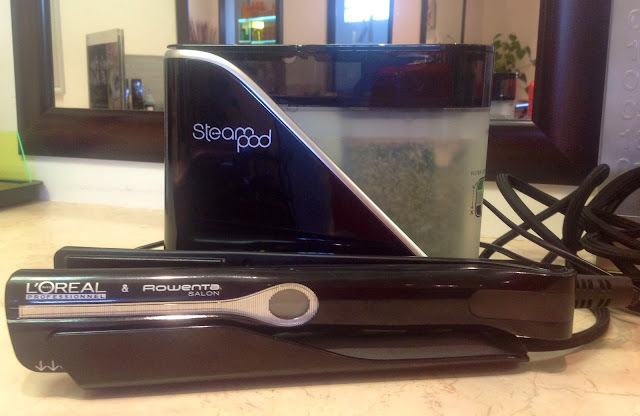 As we start the New Year I thought I would bring you my 3 most viewed posts of 2013. It formed part of 4 posts that I wrote in my quest to find a tinted moisturizer. 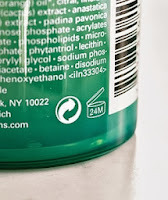 But how do you know how long a product is good for, if there is no expiry date on the item? The below is a general guideline for the Period After Opening (PAO) and is represented by the logo below. 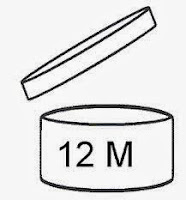 If your product displays this logo then you know that your product is good for that number of months after opening. Then immediately throw out !!!! "Jimmy Germs" lurking and believe me they will be there! This past year I have tried a couple of the French brand Yves Rocher skincare products and have been suitably impressed, especially on the price point. One such "value for money" items is the The Express Eye Makeup Remover, which retails for R85 for 125mls. found in many eye products. What is great about this product is that it is Paraben free as well as being specially formulated for sensitive eyes and contact lens wearers. 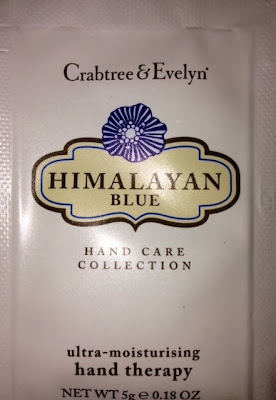 This product is easy to use, just apply onto a cotton wool pad and wipe over the eye area, flip over the pad and a re wipe is sufficient to effectively remove all my eye makeup without too much effort.My eye area was left feeling refreshed, there was no stinging and no real fragrance to mention with this product. Definitely......and I would highly recommend to those that do have sensitive eyes. 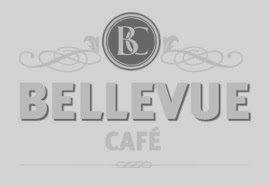 Some time ago I wrote about Bellevue Cafe in Kloof and said then, that I wanted to go back and take my "hubby", which I did on the 29th December and it just happened to be our wedding anniversary. We popped along there for breakfast and the place was busy. I have to say that I love everything about this eatery from the vibey atmosphere to the great food and slick service. 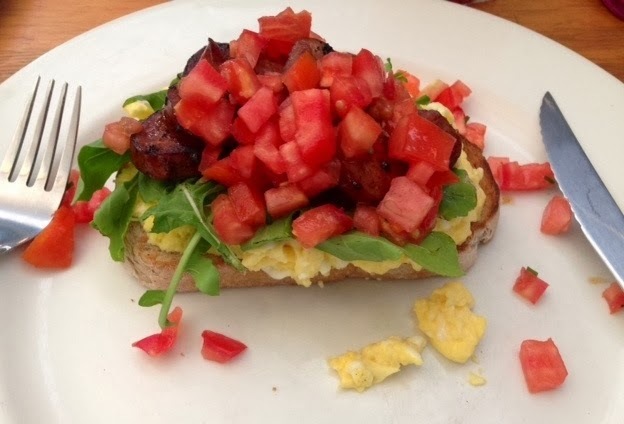 I ordered the special breaky off the chalk board - scrambled eggs with Chorizo, tomato salsa and rocket on toasted ciabatta (R50) which I really enjoyed and it wouldn't be too difficult to replicate at home...even for me! 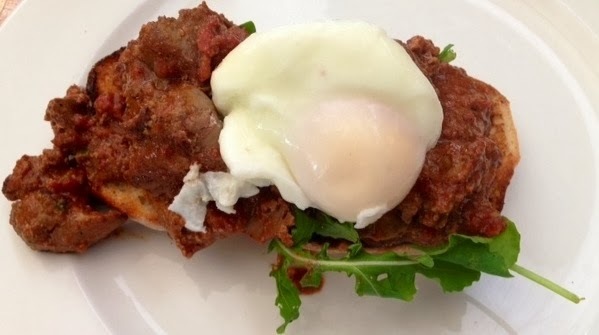 My hubby was also suitably impressed even though his first breakfast option of savoury mince,cheddar and 2 poached eggs on toast (R60) was unavailable. He opted for the spicy chicken livers with eggs (R50) and it obviously satisfied his need for something spicy, so much so, that he even suggested we return for dinner one evening, which I didn't discourage, despite the schlep from Umhlanga Rocks. As I soon discovered his desire to return could have something to do with the range of Craft beers that they carry...and not to mention that they stock his "fave" Jack Black lager from Cape Town, so guess who will be his chauffeur that night?